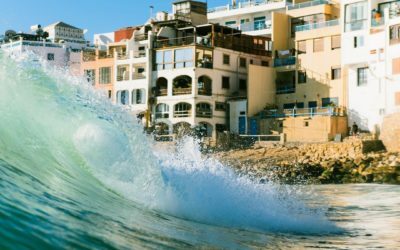 Taghazout is blessed with year round sunshine and amazing waves making it the perfect place for beginners learning to surf and experienced surfers hoping to score barrelling right hand point breaks. 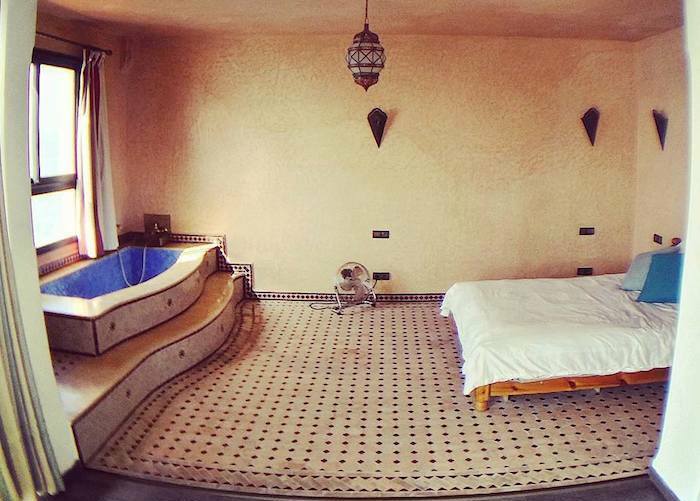 If you’re looking for the perfect Morocco surf holiday then our Taghazout surf camp is the place to stay! We offer a range of amazing surf and yoga holidays on the Taghazout seafront. If you haven’t heard of Taghazout, it is a small fishing village made famous by its amazing surf spots and glorious year round sunshine. Here’s a short video to give you a flavour of what staying at our Taghazout surf camp is like (that’s us, the pink building to the left of the play button right on the seafront). There’s also some great footage of Taghazout’s best surf spots and generally a pretty nice portrayal of life in our sleepy fishing village. 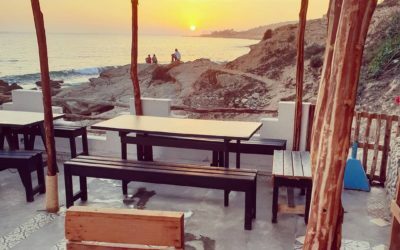 Over the years we have built up a reputation as Taghazout’s favourite surf camp. Every day we have our vans going out taking all levels of surfers out, from beginners having a full day’s coaching, to experienced surfers getting guided to the best surf spots in the area. We have daily yoga classes in our waterfront open air studio, delicious meals prepared in our Hash Point Cafe, apartment rentals for more independent groups and families, and twice yearly surf instructor courses for people literally wanting to become pro surfers! Below are some options for the various packages and surf yoga holidays that we offer from our Taghazout surf camp headquarters. If none of the options below are quite right, then please just get in touch with us to see if we can help you have the perfect surf holiday in Taghazout. All inclusive week with surf lessons each day, all kit hire and meals are also included in a fabulous week long stay in our seafront Taghazout surf camp. For beginners with less than 4 weeks surfing experience. Learn to surf and then unwind at the end of the day with a relaxing sunset yoga class. 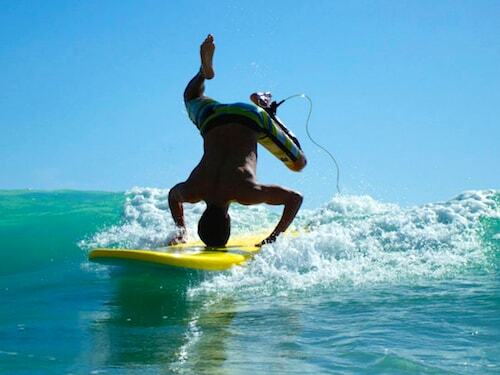 Yoga is the perfect way to de-stress and stretch out those aching muscles ready for another day of surfing. Learn to become a qualified level 1 surf instructor and lifeguard in just 12 weeks. All meals, accommodation and surf kit is included, plus a trip to the Sahara desert. For all levels of surfer keen to become a qualified surf instructor. 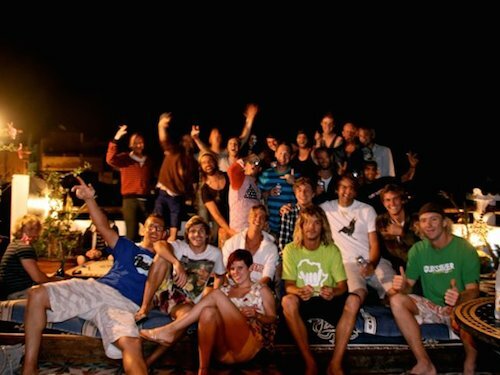 Organising a group surf trip, check out what we can do for you. 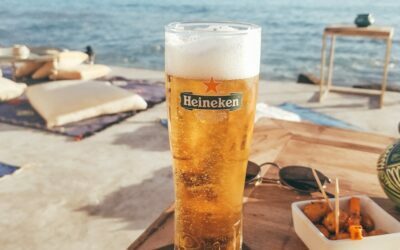 Not only will we treat you like kings, but we’ll organise absolutely everything from kit hire, meals, transport, airport transfers and nights out in Agadir. For uni surf clubs, we’ll even sponsor you! For all levels of surfer (and mixed levels). Get taken to epic waves every day by a local surf guide, a hearty breaky, lunch and dinner, and crash out in a nice clean bed at the end of the day, ready to go again the next! A selection of the 20 best apartment rentals in Taghazout, all on the seafront in the center of town. Can’t do a set week trip, why not create your own bespoke surf holiday. We are flexible on arrival days, how much surfing you do with us and whether you want to eat with us for the surf camp meals. So if you fancy a long weekend, or even surfing with us for a month, you can build your own perfect surf holiday. For all levels of surfer. 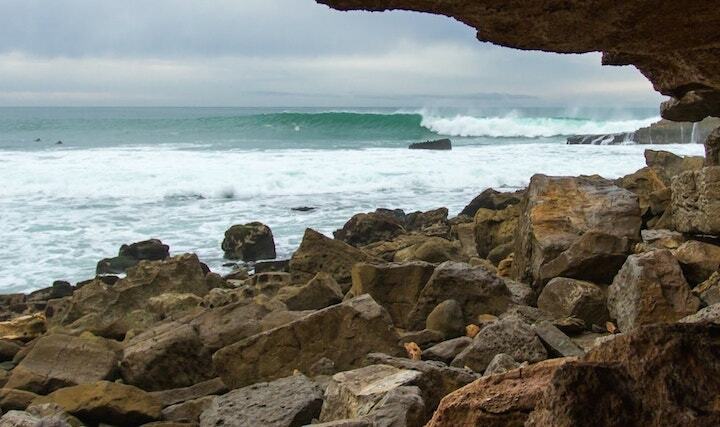 Book Your Morocco Surf Holiday Now! Ready to book your surf holiday, check out our packages and book your surf trip instantly online!